Picture this: you’re enjoying a day of hiking with your family. The sun is shining, the view is beautiful, and things couldn’t be better. Then one of your family members collapses and doesn’t get up. It sounds like a nightmare scenario—but it happens on a regular basis. Some of the causes of sudden, unexpected death are rare, but others are quite common. Stroke kills approximately 140,000 people per year in the United States, for example, while heart disease kills more than 600,000. Here’s an overview of some of the causes of sudden, unexpected death. Approximately 326,200 people experience cardiac arrest outside of a hospital every year, according to the AHA’s 2015 statistics. The survival rate is not good—only about 10.6% live through the event, and only 8.3% keep good neurological function. However, when a bystander witnesses the event, the survival rate goes up to one in three. That’s because with cardiac arrest, fast treatment is absolutely vital to recovery and a good outcome. The heart maintains its beat through electrical impulses that cause the muscles to contract in a regular rhythm. When that rhythm gets disrupted, it can be life-threatening. Heart arrhythmias occur when the heart beats irregularly, too fast, or too slow to maintain proper blood flow. Heart arrhythmias don’t always cause instant death. Some people have a chronic arrhythmia that occurs for years, with few or no symptoms. When doctors do catch it, the condition can be manageable and is often not life-threatening. However, when the heart’s rhythm is too severely compromised to pump blood, cardiac arrest can occur—which can lead very quickly to death, if the patient doesn’t get proper treatment immediately. Coronary artery disease, previous heart surgeries, and other heart conditions. If your heart or key arteries have already sustained some damage, you are at added risk. Congenital heart disease. Some people are born with heart defects that make them susceptible. Thyroid issues. Both underactive and overactive thyroids can be a risk factor. High blood pressure. Increased blood pressure can thicken the walls of the left ventricle, which can disrupt electrical impulses. It can also increase the risk of coronary artery disease, which brings added risk. Diabetes. Diabetes leads to a number of secondary health issues, including high blood pressure and coronary artery disease—which can increase your risk. Some medications. Both prescription drugs and some over-the-counter medicines can cause or heighten the risk. Caffeine and nicotine. Both of these can heighten heartbeats and exacerbate an already-existing arrhythmia problem by making the heart beat faster. Alcohol. Drinking too much also causes a host of problems. Among them, it can disrupt the heart’s electrical rhythm—causing an arrhythmia to develop. Illegal drugs. Cocaine, amphetamines, and other stimulants can cause arrhythmias even in previously healthy hearts. Electrolyte imbalances. Potassium, magnesium, calcium, and sodium are necessary to transmit the electrical impulses that keep your heart beating. Electrolyte imbalances can be caused by dehydration, sweating, vomiting, and diarrhea. In severe cases, these imbalances can cause heart arrhythmias. Sleep apnea. Severe snoring—where your breath is temporarily blocked on a regular basis during sleep—can lead to heart arrhythmia. When a person experiences severe arrhythmia, it results in ventricular fibrillation—the lower chambers of the heart lose their rhythm and their ability to pump blood. When this happens, cardiac arrest follows—and the patient can collapse with little or no warning. In these cases, it’s essential that the person receive emergency care immediately. Bystander CPR is often instrumental to the patient’s survival. If an automated external defibrillator (AED) is available, this can also save the patient’s life. These devices deliver a shock that can reset the rhythm of the heart, and they can be used both by trained and untrained operators. Someone in the United States has a heart attack once every 43 seconds. One in five of these occurs with no symptoms. Heart disease is the most common cause of death in the United States, killing approximately 375,000 people per year. In addition to a regular rhythm, the heart requires a constant supply of oxygen and other nutrients to keep going. These are delivered to the heart through three coronary arteries. If one of these arteries becomes blocked, part of the heart loses oxygen—and starts to die. This is what causes a heart attack. Men and women tend to experience different symptoms, although people of both sexes may experience any of the symptoms below. Many people imagine heart attacks as occurring suddenly—but they can also be drawn out over several hours. Your age. Women over age 55 and men over age 45 are at higher risk of heart attacks. Certain health conditions. Diseases like diabetes, certain autoimmune conditions like lupus or rheumatoid arthritis, and pre-eclampsia, a condition that causes high blood pressure during pregnancy, can all boost the risk of heart attacks. Smoking and illegal drugs. Both smoking and continuous exposure to secondhand smoke can increase susceptibility to heart attacks. Drugs such as amphetamines and cocaine can cause coronary arteries to spasm, leading to a heart attack. Genetics. Those with a family history of heart attacks are at increased risk, especially for those whose relatives had their heart attacks at an early age—by age 55 for men or 65 for women. Lifestyle factors. An inactive lifestyle, a diet high in cholesterol, and continued stress can have a cascade effect that impacts many areas of health. These factors can result in high blood pressure, high cholesterol levels in the blood, obesity, and coronary artery disease—significantly increasing the risk of a heart attack. If the patient has collapsed and is not responsive, it’s essential to call 911 immediately and begin CPR. Unless you are a trained medical professional, it’s best to skip the rescue breaths and just perform chest compressions—hard and fast, with the heel of your hand, to the beat of “Stayin’ Alive” by the Bee Gees. 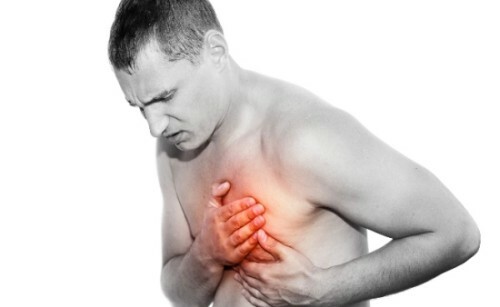 Some heart attacks occur over a period of hours rather than minutes. 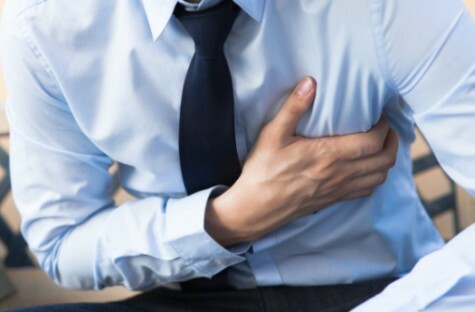 If the person has a known heart condition, they should take any medication they’ve been prescribed for chest pain—usually nitroglycerin. Help the person sit down and stay calm, and if the symptoms don’t improve within 3 minutes or so, call 911 immediately. Stroke isn’t as deadly as heart disease in the United States—only about 140,000 people die of stroke every year—but more than 795,000 people per year suffer a stroke. Approximately 75% of victims are over the age of 65. Like the heart, the brain needs a steady supply of oxygen to function. A stroke occurs when blood flow to part of the brain is blocked, cutting off oxygen. It only takes a few minutes of oxygen starvation for brain cells to start dying, which can cause irreversible damage and even death. There are two types of stroke: ischemic and hemorrhagic. Ischemic strokes occur when an artery becomes blocked, cutting off oxygen to the brain. Hemorrhagic strokes occur when an artery inside the brain ruptures. The resulting bleeding in the brain causes pressure that results in cell damage and death. Symptoms of stroke can vary. While a severe stroke might cause permanent paralysis or other major health problems—even sudden death—a milder episode might only cause temporary weakness in an area such as the arm or leg. Certain health conditions. The most common risk factor for stroke is high blood pressure. 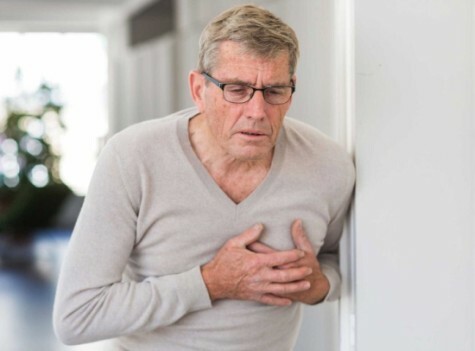 Heart problems such as atrial fibrillation, heart failure, and coronary artery disease are also major risk factors, as is diabetes and brain aneurisms. Smoking. Smoking raises blood pressure and weakens blood vessels over time, making it more likely a blood vessel in the brain could break. It also reduces the amount of oxygen in the blood to begin with. Long-term exposure to secondhand smoke can cause the same damage as smoking. Gender and age. The older you are, the more likely you’ll have a stroke—the highest risk is generally for those aged 65 and older. Gender is a risk factor, although the picture isn’t 100% straightforward; younger men are more likely to have strokes than women, but women tend to have more serious strokes that result in death. Medications. Some medications, such as hormonal birth control, can raise the risk of stroke. Family history. If members of your family have experienced a stroke, you are also at heightened risk. Past history of strokes. People who have had one stroke are at increased risk for another one; usually the risk is highest right after the first stroke. Race. Strokes are more common in Native American and African American populations than in Hispanic, white, or Asian populations. Drugs and alcohol. Severe alcoholism can result in stroke, as can use of drugs such as cocaine and amphetamines. An inactive lifestyle. Lack of physical activity and an unhealthy diet can result in high levels of cholesterol, obesity, and the conditions that can lead to stroke. Use of NSAIDs. Non-steroidal anti-inflammatory drugs such as naproxen and ibuprofen can boost the risk of stroke, especially in patients who have a prior history of heart attack. The longer these over-the-counter medications are used, the higher the risk of stroke. Face drooping. Strokes often appear first in the nerves of the face. When the person smiles, one side may droop or seem uneven. Part of the face may feel numb. Arm weakness. When the person raises both arms, is one side weaker than the other or drifting downward? Is there numbness in one arm? Speech problems. Strokes can cause slurred, incomprehensible speech, or victims may not be able to speak at all. If a patient has any of these symptoms, call 911—even if the symptoms go away. The data on how many people experience pulmonary embolism isn’t clear—some estimates say as many as 900,000 people experience pulmonary embolism, and about 60,000-100,000 people die from it, every year in the United States. Of these, about 10-30% die within a month of receiving their diagnosis. Most frighteningly of all, sudden death is the first symptom about 25% of patients experience. Pulmonary embolism occurs when something—usually a blood clot—blocks an artery in the lung. Usually, the blood clots form deep in the veins and arteries, usually in the leg, and travel to the lungs. Pulmonary embolisms aren’t always deadly—sometimes the clots are small enough to cause damage but not death. Larger blood clots can be fatal, however, and fast treatment is essential. A massive pulmonary embolism will cause loss of consciousness, rapid breathing, and sometimes a noticeable distention in the veins of the neck. These are usually fatal, often within an hour or less. Surgery. Surgical procedures that target the abdominal area, legs and knees, pelvic area, and brain seem to put people at particular risk for pulmonary embolism. Cancer. Some cancers have the effect of thickening the blood, making large clots more likely to form. This is especially true for pelvic and abdominal cancers in an advanced state. Childbirth and pregnancy. There is a heightened risk of pulmonary embolism for women both during and just after childbirth, particularly for those who have cesarean sections. Previous injury to lower limbs. Recent fractures to the limbs, mobility problems from previous spinal cord injuries or strokes, and varicose veins can all put patients at increased risk. Certain medications. Birth control pills and hormone therapy put people at particular risk. Smoking. Long-term smoking or exposure to secondhand smoke can both increase the risk of a pulmonary embolism. Age. Older adults are more likely to have pulmonary embolisms—the risk goes up past the age of 70. Weight. Those who are very overweight are more at risk as well. History of pulmonary embolism. Those who have had it before are more likely to have it again. The key to a better outcome in cases of pulmonary embolism lies in fast diagnosis and treatment. If you suspect someone is having a pulmonary embolism, call 911 immediately. Respiratory rate. How fast is the person breathing? How difficult does breathing appear to be? Some people only experience one symptom in the face of a pulmonary embolism: breathlessness. Pre-existing risk. People who fall under a high-risk category should be assumed to be having a pulmonary embolism if they experience any symptoms. Swollen legs. Some patients with deep vein thrombosis may have one leg more swollen than the other; the leg may also be painful, red, and hot to the touch. This is one of the more rare causes of death in the United States, but also one of the more deadly. About 90% of people who experience aortic rupture die from it. The aorta is the largest artery in the body. It is also the toughest, designed to handle a large volume of blood. When the walls of the aorta weaken, they can bulge outward, creating an aortic aneurism. Not all aortic aneurisms burst. Sometimes, however, an aneurysm that has existed for years will suddenly rip, and when this occurs, it is a major medical emergency. Aortic aneurisms drain large volumes of blood away from other organs, and the problems that can occur include heart attacks, stroke, severe kidney damage, and ultimately death. If you suspect an aortic rupture, time is of the essence. Call 911 immediately. Keep the patient calm and comfortable. If the patient loses consciousness, you may have to begin CPR.